A 20th Anniversary related TV surprise! 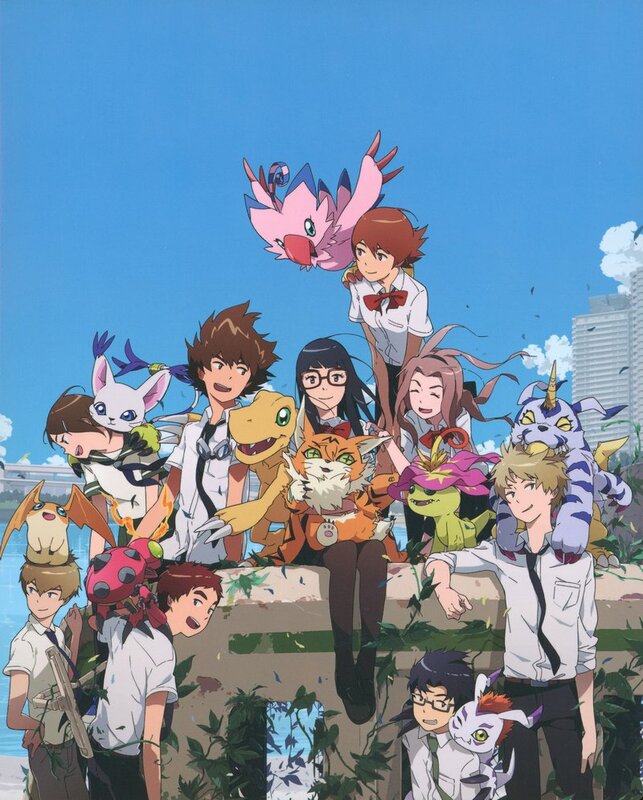 With the 20th Anniversary of Digimon Adventure being this March, Toei has announced the first full TV airing of Digimon Adventure tri. in Japan. Parts 1 thru 5 have aired on TV in the past, but this will the first time Part 6 has been, and scheduled with the other parts to boot. All 6 parts will air on Japanese satellite channel Animax. tri. Part 1 Reunion will air Sunday, March 17th at 8pm. tri. Part 2 Determination will air Sunday, March 24th at 8pm. tri. Part 3 Confession will air Sunday, March 24th at 9:35pm. tri. Part 4 Loss will air Sunday, March 31st at 8pm. tri. Part 5 Coexistence will air Sunday, March 31st at 9:35pm. tri. Part 6 Our Future will air Sunday, March 31st at 11:10pm. No doubt more things will be coming soon to celebrate the 20th Anniversary of Digimon. Calling it now, Directly after Part 6 airs there's gonna be a big preview or trailer for the new movie. Removed a post. A two word reply is not meaningful and is spammy. Wow. That sure would be fun to watch on TV. Glad to hear this is happening. I tend to avoid trailers, but if it came with a release date, that would be pretty sweet too. Either way, it's pretty neat to see all the Tri movies getting shown almost back to back.